I know the headline looks a little weird, but it is true. Will Reiser wrote a comedy, I’m With Cancer, based on his real life battle with cancer, and originally James McAvoy was set to star alongside Seth Rogen in the film. However, Summit has announced that McAvoy had to drop out due to “unrelated circumstances beyond his control.” Normally, losing an actor like this is a big deal, especially when it is a rising star like McAvoy. However, the studio has replaced him with even possibly a bigger rising star, Joseph Gordon-Levitt. “It’s incredibly unfortunate that circumstances outside of everyone’s control have taken James away from the project, but, with James’s blessing, we were able to have Joseph step in to take on the role of Adam. We all look forward to working with James in the future,” said Seth Rogen. Shooting starts next week in Vancouver, and Gordon-Levitt will be joining co-stars, Anna Kendrick (another rising star), Bryce Dallas Howard, Phillip Baker Hall, and Angelica Huston. I’m actually pretty excited about this. Other than his role in G.I. 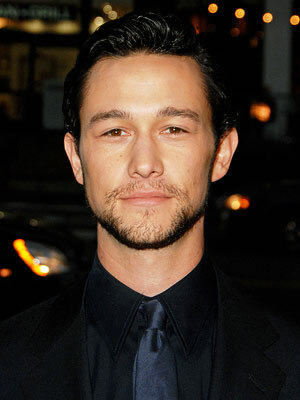 Joe Gordon-Levitt has been making some pretty solid choices in the past few years. It is so refreshing to see a child actor who seems to be pretty well adjusted and seems to be eclipsing his stardom that he had when he was younger on shows like 3rd Rock From The Sun.